Bible study Catholics is no longer optional. 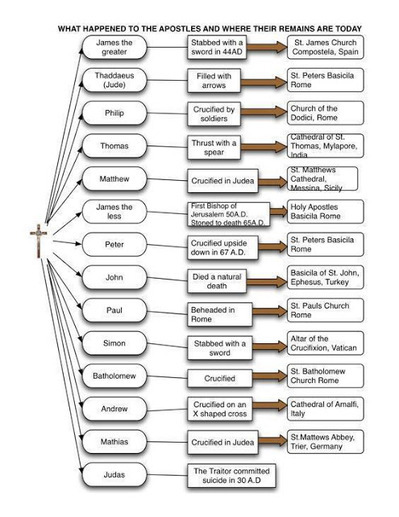 Everything, and I mean everything in the Church, must be dependent on sacred Scripture, even the Magisterium. I came across this quote from Bishop Christopher Butler, OSB, which may be a bit cheeky, but to my mind it shows the degree of seriousness that we ought to think in biblical terms, “It is all very well for us to say and believe that the Magisterium is subject to holy Scripture. But is there anybody who is in a position to tell the Magisterium: ‘Look, you are not practicing your subjection to Scripture in your teaching’?” (in JJ Miller, ed., Vatican II: An Interfaith Appraisal, 1966). Indeed, we all need to be subject to Revelation. We need to keep on top of our study and love of God’s revealed word: the study of Scripture is a non-negotiable for Catholics if they think they are going to be saved on the Last Day. Pope Benedict spoke of lectio divina as the springtime of the Church and organizations like the American Bible Society have spent lots of time and money trying to help Christians, including Catholics, to the biblical narrative of redemption. Scott Hahn, Covenant and Communion: The Biblical Theology of Pope Benedict XVI (Baker Brazos Press, 2009). Richard John Neuhaus, ed., Biblical Interpretation in Crisis: The Ratzinger Conference on Bible and the Church, (Eerdmans, 1989). O God, who gave the Priest Saint Jerome a living and tender love for Sacred Scripture, grant that your people may be ever more fruitfully nourished by your Word and find in it the fount of life. …stir up the hearts of your faithful so that, attentive to sacred teachings, they may understand the the path they are to follow and, by following it, obtain life everlasting. The controlling ideas the Church wants us to focus on are namely, that we have a living and tender love for Scripture with the hope that we would be nourished by it and find in Scripture a source of life. Likewise, our understanding this path we may enter into heaven. Christians: we are to walk toward the light of everlasting life. Indeed. Jerome is one of our guides in our study of Scripture. Jerome was born in Dalmatia (present day Croatia). Having studied in Rome and he was baptized there before being ordained a priest in the Eastern part of the Roman Empire. Recognizing his giftedness, Pope Damasus called Jerome to Rome to serve as his secretary; following the death Damasus, Jerome went East again, that is, Bethlehem, where he was active in building projects: a monastery, a hospice, and a school. His intellectual gifts were set on translating the Bible into the vernacular Latin. We still us Jerome’s biblical translation (with some revisions) today. His letters and commentaries on Holy Scripture still give insight. He is honored with being a Doctor of the Church. I interpret as I should, following the command of Christ: Search the Scriptures, and Seek and you shall find. Christ will not say to me what he said to [others]: “You erred, not knowing the Scriptures and not knowing the power of God.” For if, as Paul says, Christ is the power of God and the wisdom of God, and if the man who does not know Scripture does not know the power and wisdom of Gods, then ignorance of Scripture is ignorance of Christ. In 2010, there was an interesting “find” for the biblical world of our era. This article is three years old but it ought to raise our interests in the biblical narrative not merely for literary and artistic considerations, but for matters pertaining to divine revelation. We have a lot more work to do if we are to say we “know it all” when it comes to the bible. I say this because while news reports reveal what can be viewed as a testimony to the attractiveness to the biblical tradition of the Christian Church. The attractiveness of a dynamic faith in Jesus as Savior and Messiah. The realization that our Christian faith is based on meeting God and that we just don’t make things up as we go along. What is now considered to be among the oldest surviving works of Christianity, the Garima Gospels date perhaps to the early fourth century first came to light in the 1950s; scholars and philanthropists in England are helping to preserve the treasure today. 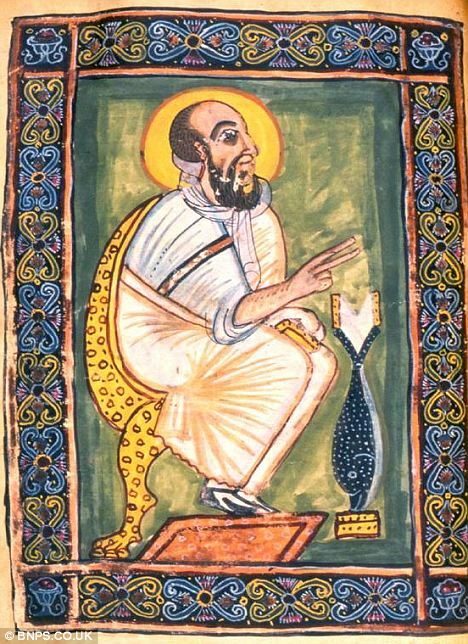 The Monastery of Abba Garima in northern Ethiopia is one of many places where Christians have conserved their ancient texts relating to the Good News preached by Jesus Christ. That we have a fourth century manuscript with some very early extant Christian illustrations is stunning. 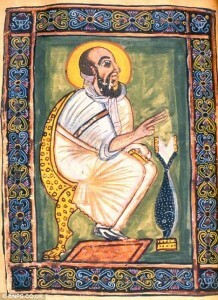 The images have Coptic similarities. One more reason we need to have concern for Christians who live in Egypt, Ethiopian and Eritrea. According to reports, the Garima Gospels contain portraits of the Evangelists. A literary and cultural find for some, another piece for biblical archeology for scholars, these Gospel pages are relics of a living faith. What does the Church’s teach about tithing today? The question of tithing is better addressed first, by looking at the bible. The Church’s practice is based on the revealed word of God. The biblical warrant can’t be ignored. What does sacred Scripture tell us about a believer’s responsibility and duty to tithe? There is also the witness of Abraham giving the priest Melchizedek offering God who in turn gave the best of the wine and bread (see Genesis 14). In the Book of Deuteronomy we hear: “Each year you shall tithe all the produce that grows in the field you have sown…so that the Levite who has no share in the heritage with you and also the alien, the orphan and the widow who belong to your community, may come and eat their fill so that the Lord your God may bless you in all that you undertake” (14:22, 29). Or, in Leviticus we read: “The tithes of the herd and the flock shall be determined by ceding to the Lord as sacred every tenth animal as they are counted by the herdsman’s rod” (27:32). Or, in the Book of Numbers, “Give the Levites these instructions: When you receive from the Israelites the tithe I have assigned you from them as your heritage, you are to make a contribution from them to the Lord, a tithe of the tithes…” (18:26). In Proverbs, “Honor the Lord with your wealth, with first fruits of all your produce; then will your barns be filled with grain, with new wine your vats will overflow” (3:9-10). Malachi foretells, “Dare a man rob God? Yet you are robbing me! And you say, ‘How do we rob you?’ In tithes and offerings! You are indeed accursed, for you, the whole nation, rob me. Bring the whole tithe into the storehouse, that there may be food in my house and try me in this way, says the Lord of hosts; Shall I not open for you the floodgates of heaven to pour down blessings upon you without measure?” (3:8-10). Or in Saint Luke, we hear: “Give and gifts will be given to you; a good measure, packed together, shaken down, and overflowing, will be poured into your lap. For the measure with which you measure will in return to measured out to you” (6:38). Again from Saint Luke we hear: “Then he said to the crowd, ‘Take care to guard against all greed, for though one may be rich, one’s life does not consist of possessions'” (12:15). Or, in 1 Timothy, where Saint Paul says: “Tell the rich in the present age not to be proud and not to rely on so uncertain a thing as wealth but rather on God, who richly provides us with all things for our enjoyment. Tell them to do good, to be rich in good works, to be generous, ready to share, thus accumulating as treasure a good foundation for the future, so as to win the life that is true life” (6:17-19). The concept of tithing is defined as one-tenth of one’s income. Historically, it has been associated with giving God the first fruits of creation in recognition of His place in our lives as Creator. Today, we focus more on financial support of the Church and Church-related charities. The tithe looks back to the ancient agrarian practice of offering God a small portion of the flock and harvest to express gratitude on the part of those who enjoy the fruits of the harvest and animal life around them. The best is always offered to the Lord. To reserve the best for one’s self is, well, selfish. The sacrifice, if it is true, speaks of one’s dependence on God the Creator of heaven and earth because God sustains our life. Through the years, especially after the move from the farm to industry, tithing meant pledging one-tenth of one’s income to the support of the Church, that is, the support of the Church’s brick and mortar, many works of charity, the education and development programs of the people and the upkeep of the clergy. Do we ask what it means to have tithe today, and what it means when we decide not to meet the 10 percent standard? What about the moral obligation to help the poor and provide the appropriate support to the Church and Church-related charities. The obligation to tithe does not end at age 65. The 10 percent is a number in response to the question of what do I give. The payment of tithes is due to God; and they who refuse to pay them, or hinder those who give them, usurp the property of another. Wherefore, the holy Synod enjoins on all, of whatsoever rank and condition they be, to whom it belongs to pay tithes, that they henceforth pay in full the tithes, to which they are bound in law, to the cathedral church, or to whatsoever other churches, or persons, they are lawfully due. And they who either withhold them, or hinder them (from being paid), shall be excommunicated; nor be absolved from this crime, until after full restitution has been made. It further exhorts all and each, that, of their Christian charity, and the duty which they owe to their own pastors, they grudge not, out of the good things that are given them by God, to assist bountifully those bishops and parish priests who preside over the poorer churches; to the praise of God, and to maintain the dignity of their own pastors who watch for them. The Council of Trent had a most direct perspective on tithe that’s not held in the same way today. Many pastors won’t talk to the Catholic congregation about the responsibility and duty to tithe perhaps as a residue of Trent’s hard-hitting manner. They are afraid of money, and they are tired of listening to some members of the congregation moan and groan. The fact is, a good pastor needs to speak about money issues; not to do so is wrong-headed. The Christian sense of the tithe was not given based on the charity needed by the Church, the poor or needs of the priests. A tithe, according to Scripture was given in recognition and gratitude for the blessings that God had bestowed; every person (believer) had a desire to tithe to God. Hence, you don’t hear about proper stewardship today except if one’s attention is drawn to one of the “precepts of the Church” which talks about sustaining the good works of the parish. Nowadays we have some financial appeals for a limited amount of income: the diocese, alumni funds, religious orders, cancer research, the ASPCA, and the like. However, charitable giving to the Church ought to be central to our life of faith. How we use money is critical in the eyes of God, in spiritual life, and in the life we live in society. Recall that the precepts the Church are formative and they are disciplinary. The precepts of the Church form one’s life of faith and one’s conscience and the offer a way of ordering one’s good works. For example, the other precepts include: praying Mass on Sundays and holy days, receiving Holy Eucharist, confessing one’s sins once a year, observing the Church’s teaching on the sacrament of Marriage, and making a financially supporting of the Church. How and what we tithe in 2013 is different than what it was 25 and 50 and 2000 years ago. Time is a significant commodity, one that may be more valuable than our money. The time spent washing the altar linens, or doing shopping for the priest or an elderly person, or spending time with the youth group, or doing any number of things is a noteworthy tithe. Catholic families could — in the spirit and biblical teaching of the tithe — budget an agreed-upon percentage of family income to be distributed annually to charitable works, not just “good causes”; some families have constructed the tithe of 10% to a 5 percent of income and five hours a week of community service. Works of charity change us, and the work to change the circumstances of others. Perhaps the Catholic Church ought to look at tithing as an investment the work of today and in the future. It’s about “paying it forward. Psalm 24 tells us, “The Lord’s are the earth and its fullness: the world and those who dwell in it.” We all would do well to remember that the Lord will never be outdone in generosity.